My latest Townhall column is called, “How Liberals Use Compassion to Hurt People.” Here’s an excerpt from the column. Of course, most conservatives are well aware of the damage liberals do to minorities with their supposed compassion. Liberal “compassion” toward minorities consists of treating them like incompetents who can’t do anything for themselves, fish-hooking them through the jaw with government assistance, and encouraging them to nurse grievances and feel like victims. That is not compassionate and, as I note in my new book, “101 Things All Young Adults Should Know,” it doesn’t make anyone’s life better over the long haul. Oh, but what about the government? Do you really want its help? Do you want to feel all those eyes burning into your back when you whip out those food stamps? Do you want to live in crummy government housing? Do you want to jump through whatever hoops some dead-eyed bureaucrat comes up with so you can get just enough help to stay poor and miserable? Is that the sort of person you admire? Is that the one you grew up wanting to be? You should want more out of life than what the government is willing to give to you in return for your pride. What’s more compassionate? Encouraging and helping people to pull themselves up by their own bootstraps, or trapping them in poverty, anger and misery long-term? However, there is a much more insidious way liberals use “compassion” to hurt others that slips past many people. If you pay attention, what you’ll notice is that the liberals who assure you that they are endlessly compassionate, sensitive, and tolerant only feel those emotions toward certain groups. In other words, their supposed compassion is incredibly selective. So, the death of Harambe the Gorilla? It’s a terrible tragedy. A baby whose continued existence would cut into Planned Parenthood’s profit margins? They feel nothing. A black thug who attacks a cop and gets shot to death? No justice, no peace! A police officer who gets murdered in the line of duty? They feel nothing. Rioting students who disrupt a speaker and smash windows? Poor dears! They were triggered and their response was understandable. The conservative who was invited to campus to speak and the audience that was stopped from hearing him? They feel nothing. Attacking the children of a Democrat? Scandalous! Outrageous! Whatever happened to decency in politics? Attacking the children of a Republican? Hahaha! Those late night comedians are so funny! This is the ultimate liberal lie: weaponized compassion. Once you choose which groups matter and which groups don’t, then you control the conversation, the culture, and politics. Woe be unto you if you’re in a group that liberals have no “compassion” for, because your problems will be treated as absolutely irrelevant by the school system, mainstream media, and Hollywood. This is why liberals get so upset when someone says “All lives matter” instead of “Black lives matter.” It’s because they desperately need to control whom we have compassion for and whom we don’t. Since black Americans vote monolithically for the Democrat Party and falsely convincing them that they’re in grave danger of being shot by a cop at any moment might spur them to vote, liberals feel “compassion” over the issue. Do they care about police officers getting killed? Black on black violence? The victims of violent crime? No, because that doesn’t benefit them. Is “compassion” really compassion if it’s based almost entirely on political gain and virtue signaling? Apparently liberals think so. Don’t underestimate the impact of this tactic. Deciding which people in society we are supposed to all empathize with and which we are indifferent to is a powerful tool. Take Jimmy Kimmel’s recent speech about his baby nearly dying shortly after he was born. It’s certainly a sad situation, and no one wants to see someone’s child become seriously ill. However, here we have a man worth 35 million dollars who wants other people to pay for his child’s health care. That’s obnoxious. Worse yet, Kimmel falsely indicated that babies like his son that were born ill weren’t covered before Obamacare. That’s simply not true. Sure, anybody can understand Kimmel’s emotional reaction to his son’s illness, but that doesn’t mean it’s okay for him to lie or exploit his child’s illness to push his grubby political agenda. Furthermore, the coverage of Kimmel’s comments were fawning because we’re all supposed to feel infinite compassion for his situation and thus must do whatever liberals want us to do — which in this case is to continue to support Obamacare despite the fact that it’s falling apart and hurting a lot of people. 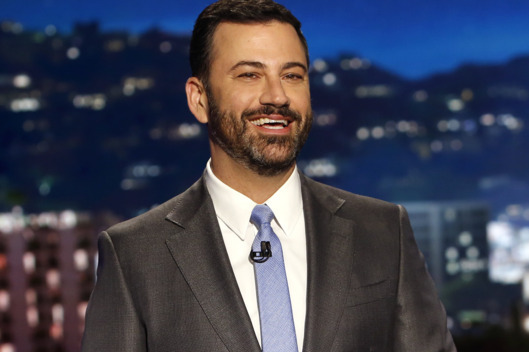 Why does a celebrity like Jimmy Kimmel deserve our compassion for his admittedly difficult situation while tens of millions of ordinary Americans who have lost plans, lost doctors and have seen their deductibles and premiums skyrocket into the stratosphere aren’t given the same courtesy? The number of people hurt by Obamacare vastly outnumber the people who have been helped, so why don’t they deserve some compassion? Why don’t their struggles matter too? It’s because liberals only feel “compassion” when they think it benefits them and in their minds; no one else deserves an ounce of sympathy, compassion or even human decency. That’s not real compassion. That’s a sickness masquerading as compassion.